Containing our patent ArcticShield heat retention technology coupled with an additional 40 grams of polyfill insulation, these mitts will keep you toasty warm when the temperatures drop. 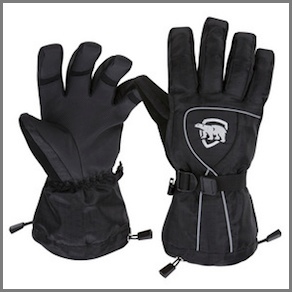 The durable Diamond-Tex outer shell and double elastic pull cuff adjustment make these versatile mitts for ll outdoor activities. Other special featured include separated interior fingers, EVA knuckle guard, reflective piping, and a synthetic nose wipe on the back of the thumb.